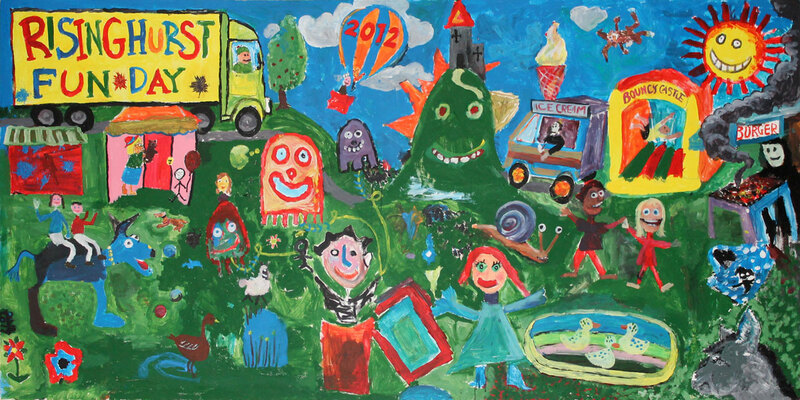 These are the paintings from the Risinghurst Fun Day that takes place in early September every year at the United Reformed Church just off the A40. 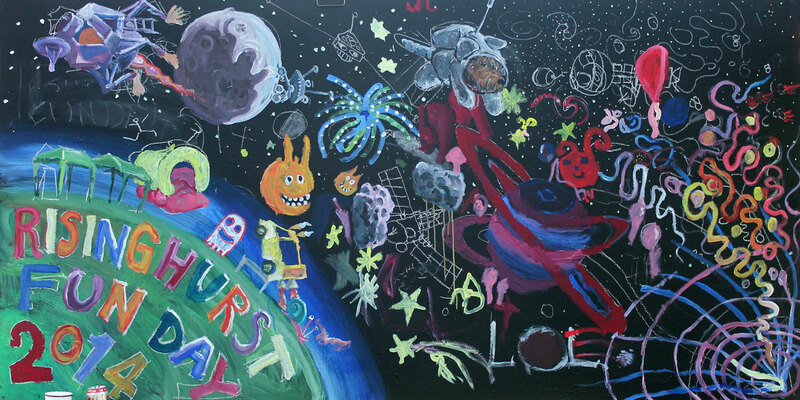 A 4×8 foot board is set up with brushes, water, palettes and poster paints which often involve young dabblers in art who contribute to the theme. 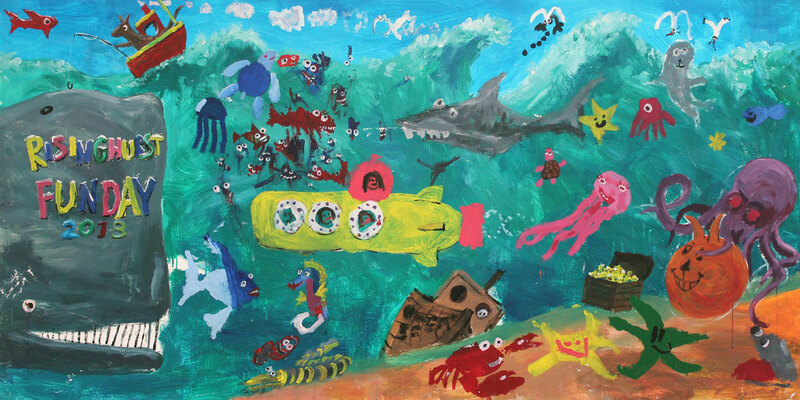 The underwater theme features a kangaroo in a boat catching a whale, several sharks, jellyfish, a poisonous sea snake, a space hopper riding evil octopus, plenty of star fish, a yellow submarine with disembodied heads (I don’t think that’s intentional – some children don’t really understand the need for bodies to make the heads work… A toddler splatted loads of paint all over the place but with judicious deployment of boggly eyes I turned what would have otherwise been a total waste of paint into a shoal of fish.